L-A: I’m convinced it’s never going to stop raining in Halifax. It’s cold and damp and my hair looks like crap. I need a weather machine like they had on General Hospital back in 1981. Except instead of trying to freeze the world, I will totally turn the sun back on when I need it. Like today. So, I’ve decided favourite Friday is a free for all time for me to bring up something that’s bugging me. It’s my not at all favourite thing. And that thing is your company’s swag. You’re either on the same page as me or you wear office swag, so you’ll totally disagree with me and possibly hate me. But I saw two lawyers wearing their work jackets today and it drove me crazy. You are lawyers, not a sports team, so you don’t need matching jackets. Also, I assume that they pay you enough to buy jackets, so you don’t have to wear the free jacket the office gave you…even if it is a nice jacket. (and how did I know they were lawyers? Because of their jackets). Okay, now let’s talk favourites. Can they furnish my life already? It also comes in stripes! Be still my heart! Yeah. I couldn’t actually do Ke$ha. Is it just me, or does that video make you want to go look at Nerd Boyfriend for a few hours? p.s. I don’t really like scary movies (because I scare way too easily), but I do like Lauren’s new website. And you should go there if you like scary and weird movies. p.p.s. Yesterday, I discovered my favourite place to buy cheapo drinks closed. I am distraught! Where the hell am I supposed to buy a cheap lemondrop now?!? And where am I supposed to grab a cheap drink to make cheesy rom coms even better? I know some joints have drink special nights, but I want to get my $5 lemondrop every night of the week. Ally: I’m already over the Royal Wedding (ok, I’m not, but I’m dealing). Helping me with my withdrawal is news that Kristin Cav is engaged! Who is Kristin Cav you ask? 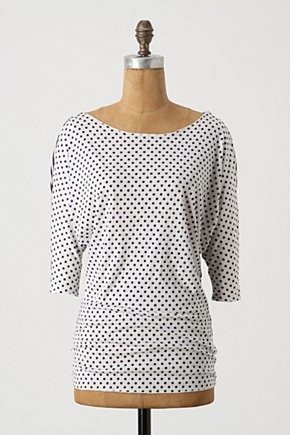 Also my Favourite this week is my new poet dress from Turbine. Pictures to follow once we see what is referred to as “the sun” and once my Oil of Olay self tanner starts to work. You may have heard Turbine’s creator is heading to Cannes this week to grace the gifting suite. She’ll be posting updates on her blog and Facebook page. I pray she runs in to Ryan Gosling and dishes all about it. Also purchased my first TOMS of the season! Wedges at that! These ones to be exact! Purchased at Biscuit, where they have the most amazing Rocket Dog loafers that sadly don’t fit. Tried on the 8…too tight. Tried on the 8.5…MASSIVE. Eff my narrow feet. ← Socks and sandals: A fashion faux pas? 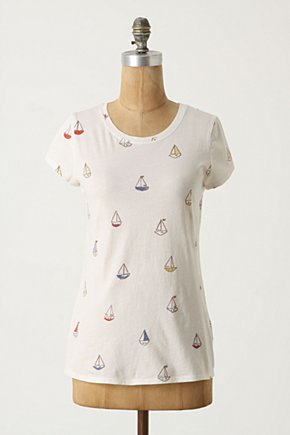 Firstly: Damn you, L-A, for sending me down the Anthropologie rabbit hole. Secondly: Ally, I looked at those Rocket Dogs shoes! I have Rocket Dog boots and they are the most comfortable EVER but I couldn’t decide where I’d wear the loafers. What do they go with? How does one wear them? Be my style guru and I might have to go pick them up. I am good for nothing if not giving other people a way to waste their employer’s time. Ally might disagree with me, but I’d make the loafers late spring/summer weekend shoes. I would totally roll jeans up and wear those. For once, L-A and I agree! I would wear with skinny jeans (which I am hearting lately) or with what they call “boyfriend jeans” and roll up the bottoms. Also fine with a casual skirt I would say, or shorts. I was planning to rock them down in Digby at the cottage. So ridiculously sad they don’t fit. Wondering if the 8 might actually stretch. L-A, I don’t know if you ever got the Joe Fresh stripey dress you were lusting after, but I was just there and they have not one but TWO more cute stripey dresses. And yet more nautical tops. Their cuteness is not helping me cut down on spending. 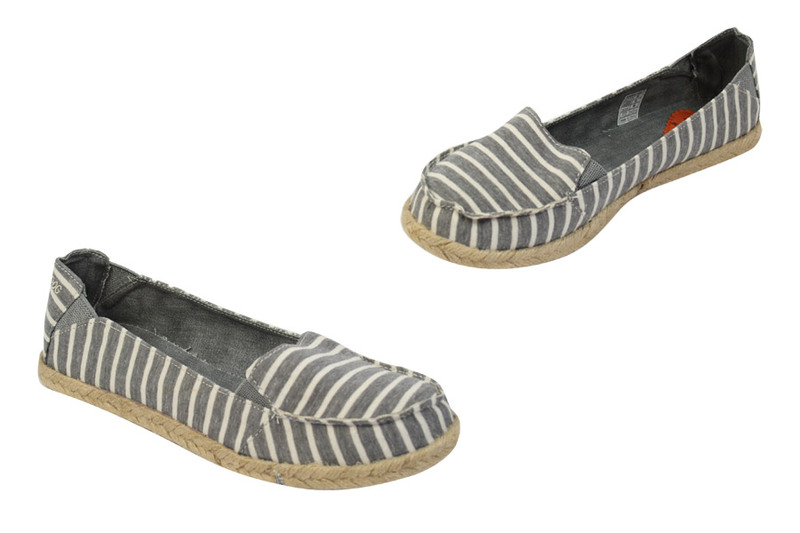 I need to pick out a cute pattern for my TOMS – I wore out my pair from last summer from daily wearing. Sooo comfy and cute. I still haven’t found that silly dress! Maybe I can console myself with a visit to Joe Fresh for other stripey dresses and nautical tops. I’m sure that I can’t have too many. This may be the summer I give in to the TOMS. I still don’t love them a lot, but everyone seems to sing their praises. I’d love to do stripey TOMS wedges. NOOOOO!!!! Victor’s closed??? but i’ve just been lusting for an after work lemon drop. Way to bring it into my life and then just take it away! officially cranky now, the loss of the cheap drink just put the rain and busy monday over the top.